I spent about three hours out of the house today as the future owners of chateau Crecente had the place inspected. Weird feeling, makes me a little melancholy. But New York should be exciting. 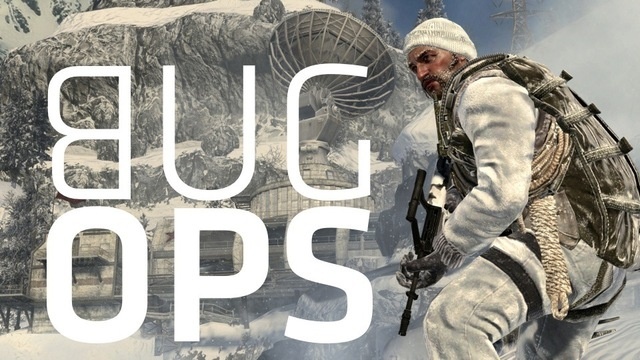 Call of Duty Creators Say Your Bugs Were "Edge Cases"
I have very publicly championed Call of Duty: Black Ops. I found the single player provoking, the multiplayer addictive. But was picky about which version of the game I like. That's because my choice for Game of the Year seemed packed with bugs when I played it on the computer and Playstation 3. My weekly round-up of comics returns. Today's installment features more comics than ever, including one starring Silver The Hedgehog. Perfect! While more mainstream video games are under fire for causing depression, a new study at East Carolina University finds that playing casual puzzle games is an effective way to combat clinical depression and anxiety. Guess who underwrote the study? Sony has another PlayStation-powered product coming in the form of an unusual Android-based tablet device, reportedly dubbed the "S1." Like the recently (and finally) confirmed Xperia Play phone from Sony Ericsson, the rumored gaming tablet will also play PSone games. It's been more than three years since we last heard any news on Techland's zombie survival horror game Dead Island. Now it's back, with a trailer demonstrating that not even children are safe from the undead hordes. You might describe the downloadable PlayStation 3 games in the PixelJunk series as "artsy," "old-school" or even "very good." They're like 21st century Atari games. But would you expect a commercial for the next one, PixelJunk Shooter 2, to feature a man drinking his sorrows away? Until they get to the eggplant part, this spot is a marvelous downer.